Faux Burlap Chair Sashes Rent for that vintage rustic wedding theme. 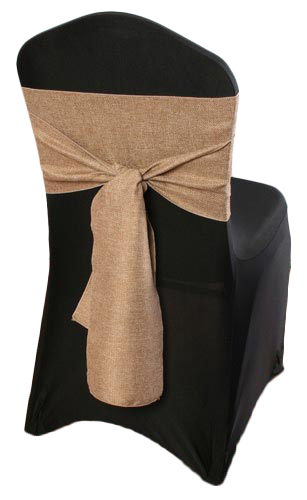 Elegant soft burlap fabric with No Mess or Odor. Request A Quote today for your event.